The canvas has a surface area of around 1680 m2 and was painted by the painter H.W. Mesdag in four months, supported by several fellow artists, including Breitner. The roundabout has a diameter of 36 metres. The hidden skylights in the tent roof illuminate the space to give an illusion of a natural environment. The transition from the artificial dune to the painting is achieved with phenomenal artistic skill and strongly suggests to visitors that they are outside. 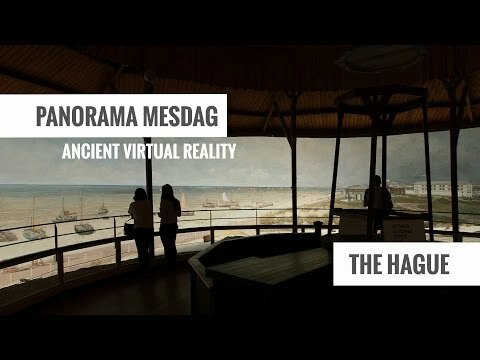 Panorama Mesdag Interactive is a unique digital version of Panorama Mesdag, in which texts, images, links and films give more information about the panorama, its creators and Scheveningen from 1881 to today. To experience all the details of this unique painting close up in The Hague, visit the Panorama Mesdag website!